Think of a word or phrase. Express that word or phrase through associated pictures or combinations of letters. 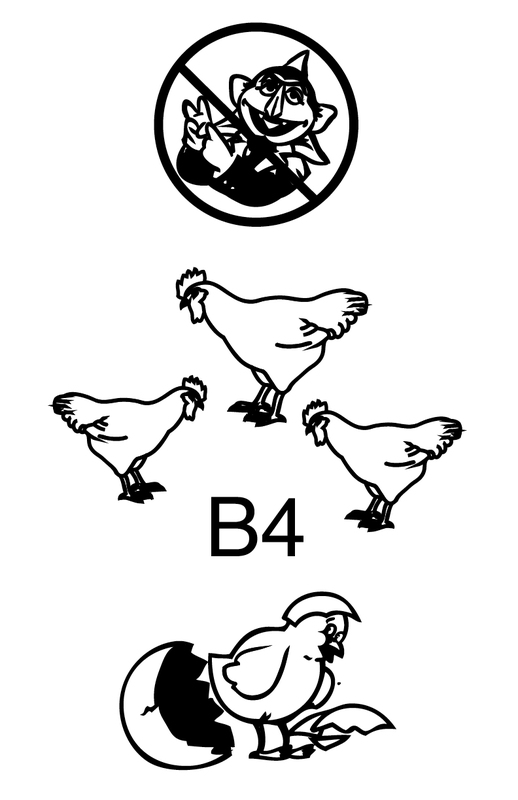 This creative rebus makes use of the Count for “Don’t count” and images of chickens and a hatchling to convey this popular saying. Rebuses can be used to create new languages, as pictures have been the root of many languages and symbols. They may also be used to write to others in code. Rebuses can be used by code writers, language creators, and thoughtful puzzlers. Today, rebuses are a fun way to challenge friends and oneself with creative graphic brainteasers. They are also used in the form of emoticons for avid text-messagers. Because rebus is typically used very specifically in symbolic languages or playful messages, rebus should not be used interspersed with the English language in formal papers or situations. Although rebuses can sometimes be found as photo explanations on scientific diagrams or user’s manuals, they should always be accompanied by text further explaining their meaning.